Swimming is part of the action during Sunday’s Triathlon at the Champaign Family YMCA. 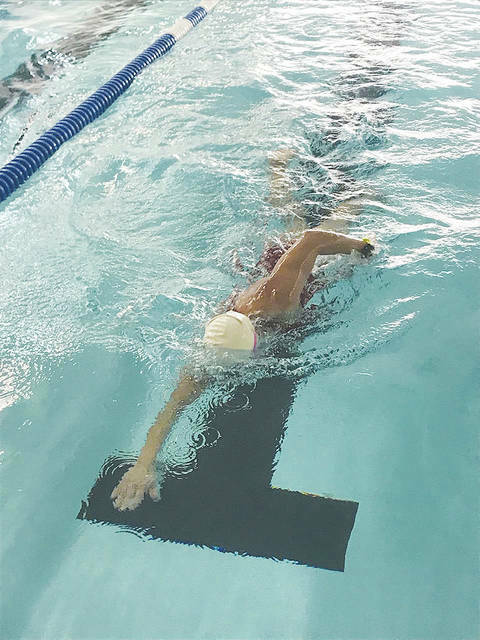 The Champaign Family YMCA’s Indoor Triathlon will take place this Sunday. Registration starts at 7:30 a.m. and the competition begins at 9 a.m. on Sunday, Feb. 10. For both men and women (participants must be age 18 or older), there’s a “competition” category and a “fun” category. The cost is $30 for Y members and $50 for non-members. The event is limited to the first 60 participants. The competition is based upon the distances participants cover in a given length of time: first, each participant will swim lengths of the Y’s 25-yard pool for 20 minutes; after a 10-minute transition, participants will ride an indoor cycling bike for 30 minutes; then, after another 10-minute break, participants will run/jog/walk for 30 minutes on the Y’s indoor track. For additional information, please contact YMCA Health Enhancement Director Jennifer Post at 653-9622 or ymcafitness@ctcn.net. Information from Champaign Family YMCA.